And guilt comes in many forms: unnecessary calories, gluten and "artificial" sweeteners and color additives among them. It's never a bad idea to remove some of the guilt associated with sweet indulgences if the taste doesn't suffer as a result. Confection manufacturers have spent the past few years learning they can deliver confections that are visually alluring and delightful to eat yet don't break the calorie bank. Today, they are facing yet another challenge within the same category, that of avoiding chemicals and preservatives consumers have been shunning. Whether the subject is artificial colors, fake flavors or sweeteners with names torn from chemistry texts, consumers seeking pure indulgence want just that: a pure indulgence, one with a clean label and a hint — just a hint, mind you — of health. Although many manufacturers would rather not think about this, those who can pull off this triple play have a good shot at gaining home base with a loyal audience. They know they'll have a winner. Case in point: Belgian chocolate manufacturer Cavalier Chocolatiers (www.cavalier.be), Eeklo, Belgium, offers an extensive selection of milk and dark chocolates that are sugar-free and include healthy mix-ins such as crisped barley, freeze-dried fruits, flax and whole grains. Cavalier's sugar-free formulation now comes via stevia, and the company is one of the first in the EU to get approval to use the naturally derived sweetener in confections – it was just approved by the European Commission last November. As with many chocolate products, the company's products are textured with soy lecithin but also include soluble fibers like inulin. The chocolates can claim a good complement of antioxidants from chocolate and some of the other ingredients, such as the fruits. This type of sweet is right on target with the current general perception of consumer desires in a dessert or sweet snack. Research from the Mintel Group (www.mintel.com), New York, shows that, despite obesity concerns, healthier chocolates with "low-in …" claims are likely to remain niche. This is because chocolate is a classic, affordable and appealing treat. People are more likely to cut back on total consumption than turn to healthier variants that can fall short on taste. The FDA does not recognize any colorant as natural unless it is derived from the characterizing food. For example, strawberry juice used to enhance the color of strawberry ice cream is considered natural, but other colors added — even from, say, pure raspberry powder — would be considered "naturally derived" colorants – and the final product should not be called natural. Red color hue: optimum pH for beet and carmine is 3-7 but carmine is not kosher as it is derived from cochineal insect bodies. It can be used in Europe, however. Beet juice is not very stable to light or heat whereas carmine is very good. Grape skin, red cabbage, black carrot, elderberry and radish have an optimum pH of 3-4. Violet color hue: Red cabbage, elderberry, purple carrot and radish have pH optimum of 4-6 and red cabbage and purple carrot are most stable to light. Yellow color hue: Best sources are turmeric, annatto, beta-carotene and saffron. Turmeric's optimum pH is 3-7, but is not very stable to light. Saffron and annatto optimum pH are at 7, with saffron being more stable than annatto to light. Both are fairly stable to heat. For orange color hues, annatto, paprika and beta-carotene are not very stable to light but are pretty stable to heat. Green colors include alfalfa extract and spinach powder. Brown color hues: Caramel color comes in Class 1, 2, 3 or 4. Its acceptance depends on the manufacturer's definition of natural, with Class 1 seen as being the most naturally derived, with no ammonia or sulfite reactants present. It has excellent stability to light, temperature, oxidants and shelf life. "Even with the hurdles of working around processing parameters, successfully coloring foods with natural colorants is achievable by using individual raw materials or a combination of color hues above," says Sprovieri. Starting in the 2000s, this made strategies like portion control, lighter formats via aeration and even chocolate-coated nuts or seeds important to building healthier confections. While these remain successful, of the chocolate confectionary products launched on the past six months in North America, only 15 percent carried natural or health/wellness claims, according to Mintel. The most dominant claims were "seasonal" and "Kosher." Of the ones that did have health/wellness claims, "no additives/preservatives," "organic" and "Kosher" topped the list. Now that stevia has become pure enough — and familiar enough — to consumers as a "friendly" sugar substitute, a floodgate of low- or no-sugar confections might be about to open. "As the first all-natural, zero calorie sweetener, stevia is a healthier alternative to highly caloric sucrose or undesired artificial sweeteners," says James Kempland, vice president of Sweet Green Fields LLC (www.sweetgreenfields.com), Bellingham, Wash.
"There are a number of high-quality substitutes the confectionary industry has been using for some time with very successful results," he continues. "A number of gums, mints, soft and hard candies and chocolates that use stevia in their formulations are currently available, and more are in development, to respond to the growing consumer demand for healthier, lower calorie, natural products." The major challenges processors face when they want to launch a low-calorie product include identifying the right stevia product, retaining the physical properties of sugar (crystallization, caramelization, preservative properties), maintain appealing mouthfeel (by blending stevia with bulk sweeteners), managing the regulatory guidelines and positioning the product with respect to the claim, according to Thierry Gay, vice president of natural food enhancement systems for the business unit of Vitiva Ltd., (www.vitiva.eu), Slovenia. Vitiva offers a full range of stevia products based on rebaudioside-A and stevioside without bitterness. There are some technical considerations a processor has to understand when replacing sugar wholly or in part with stevia in confections. "With stevia, as with any high intensity sweetener, bulking agents must be used to replace the sugar content," Kempland explains. Hydrogenated starches and polydextrose are typical low-cal bulking agents used in the confection industry. Soy is playing a growing part in modern confections. In addition to lecithin as an emulsifier, soy is a source of the isoflavones, genistein and daidzein, which, along with soy protein, have been associated with lower risk of breast and other cancers in some studies. "SoyLife is a unique soy isoflavone ingredient manufactured exclusively from soy germ," says Eden Somberg, technical specialist of the health business unit for Frutarom (www.frutarom.com). "Soy germ, rather than either whole bean or the fermented bi-products of extraction, contains the highest natural level of isoflavones combined with more than 40 other phytonutrients." At one time, consumers who wanted or needed to exclude gluten from their diet found their choices very limited. This is especially true when it comes to baked products, as the properties this versatile protein provides are perfect for baking. This situation has changed because of the hard work of many dedicated developers. Wheat- and gluten-free are becoming increasingly popular claims, and manufactures are meeting this demand with greater variety than ever. Pamela's Products (www.pamelasproducts.com), Ukiah, Calif., has been making gluten-free cakes, desserts and other confections since 1988. The niche they fit spans both the restrictions of gluten-free and overall health through use of all-natural ingredients. Building healthier desserts and confections is about getting back to basics when it comes to a number of ingredients besides sweeteners and trends such as gluten-free. "When it comes to desserts there is only so much that any of us can do to improve what we love," says Cecilia McCollum, executive vice president of Blue California Inc. (www.bluecal-ingredients.com), Rancho Santa Margarita, Calif. "But we can start with the most basic, using natural flavors and colors for example." According to McCollum, using natural non-caloric botanicals to add color and health is another easy way to improve desserts and confections. "Many of the natural extracts derived from berries offer deep colors with a good dose of antioxidants to any product," she says. Blue California makes a proprietary blend of water-soluble berry extracts that produces a deep red/purple color and offers high antioxidant value. For example, bilberry extract is as high as 25 percent anthocyanidins. Lutein, which gives egg yolk a rich golden color, is a carotenoid that can help prevent age-related macular degeneration and cataract formation. "Imagine a sorbet made with fresh fruit plus added berry antioxidant power," says McCollum. "There are many concentrated ingredients derived from edible fruits in the market that can offer added value to these types of products." Nestlé hit a sweet spot a few years back with Skinny Cow ice cream novelties and more recently took the brand into the candy aisle. Both lines make use of natural sweeteners and reduce calories, fat and added sugars to meet demands for a healthier indulging. At Nestle/Dreyer's Inc.'s Haägen Dazs (www.haagendazs.com) unit, Oakland, Calif., formulators imagined something very similar. They created intensely colored, low-calorie, fat-free sorbets made with real fruit purées. The desserts weigh in between 120 and 150 calories per serving, quite svelte as frozen desserts go. Tru Sweets LLC's Surf Sweets (www.surfsweets.com), Wheeling, Ill., take simple confections — organically sweetened gummy candies and jelly beans — and turn them into a healthy statement. Organically grown ingredients, attention to common allergens, no artificial flavors or colors, they make use of the natural colors and flavors available in fruits. This type of confection presents a challenge in that such products are associated with brilliant colors. "Natural color blends can be challenging to formulate and equally difficult to use," says Phil Sprovieri, vice president of Flavorchem Corp. (www.flavorchem.com), Downers Grove, Ill. "Natural colors are less stable than synthetic; stability is influenced by the interaction of temperature, light, pH, water and activity presence of oxygen." What is the physical form of the color – powder or liquid? Should it be oil- or water-soluble? What is the product's final pH? Will it require heat processing? Will the product require kosher or halal approval? What regulations are required for the color? Anthocyanins, for example, are susceptible to breakdown in acidic conditions and start to fade rapidly as pH lowers. They will appear increasingly red rather than blue or purple, and heat processing leads to browning. Annatto precipitates at pH values less than 4, and free calcium cations interact and change the color from orange to pink. "This is why we recommend that all-natural color blend samples be evaluated in the system for which they are being used," says Sprovieri. "Appealing and vibrant colors have always been a major driver for confection and desserts," notes Vitiva's Gay. 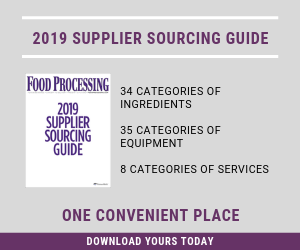 "Since the European Commission has asked processors to put a warning for consumers when using some synthetic azo colors, all food processors producing for EU market, including overseas ones, switched to natural colors or coloring foodstuffs. This led the whole industry into a huge task of reformulation, since natural colors are less vibrant, less intense and less stable than synthetic ones. There are also technical restrictions due to pH in confections and due to fact that no natural blue exists at low pH." Some pigments, such as carmine, cis-betacarotene and caramel class IV (E150d) are under scrutiny of retailers and consumer groups. Vitiva offers a natural carmine alternative suitable for vegetarian formulations and designed for all confection applications. The company currently is working on developing a caramel Class IV alternative based on burnt sugar. LycoRed USA (www.lycored.com), Orange, N.J., recently launched a new range of natural, vegetarian red and orange colors with non-migrating properties for fruit preparation, used mainly in dairy desserts and confectionery. "The new line is based on both tomato lycopene and natural beta-carotene and covers a full spectrum of color possibilities ranging from red to yellow," notes Roee Nir, color and flavor global commercial manager for LycoRed. "The colors are extracted from carotenoids, which are widely recognized as healthful alternatives to synthetic colorants due to their natural antioxidants benefits." Nir also points to the trend in dairy-containing confections to have colored fruit-based layers or stripes. "For these formulations, it is critical that the colorful appearance of the fruit preparation base remains stable and does not bleed into the white dairy phase," he says. "Stability during processing and throughout shelf life is one of the main issues the food industry faces when using natural colors. Formulation challenges can relate to stability to pH, light, temperature and oxidative degradation, as well as to interactions with other ingredients," he says. LycoRed has overcome these problems to produce natural carotenoid-based formulations delivering vibrant, stable natural food colors. The idea of attracting consumers' sweet cravings with pretty, luscious-looking confections and desserts will pay off only when flavor follows. Manufacturers are getting their just desserts as ingredient technicians merge the alluring aspects of indulgences with better-for-you technology. Not a bad way to finish a meal at the end of the day.